Are you tired and fatigued throughout the day? Do you feel depression or anxiety? Do you get sugar cravings, muscle cramps or period cramps, or headaches? You might just be dehydrated. 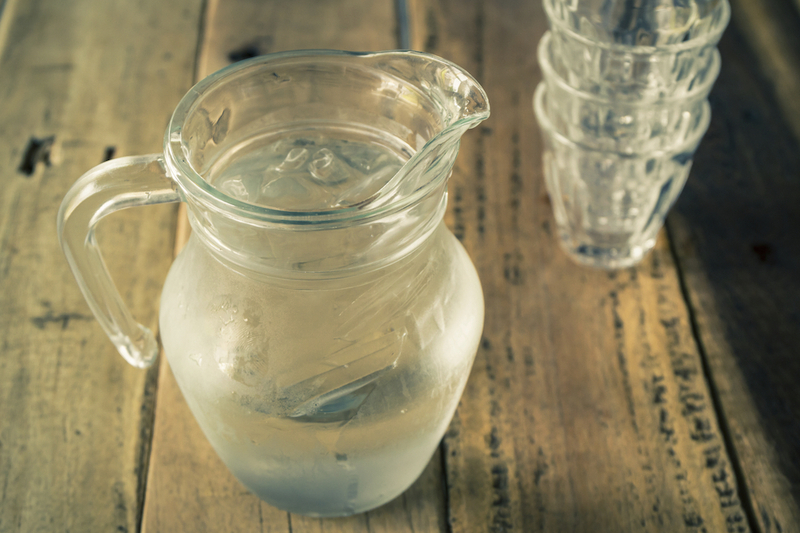 You might be surprised to know that dehydration is the most common nutritional deficiency in the American population. Think about it. We are made up of 60% water. Most of us aren’t drinking enough water, and on top of that, we are drinking diuretic drinks that actually make us lose more water than we are taking in. Coffees, teas (even some herbal), sodas, juices, beer, wine, other alcoholic drinks… all of these are diuretic. At the beginning, dehydration can cause symptoms like fatigue, headache, constipation, depression, anxiety, irritability, cravings (sugar!! ), cramps (muscle & period). Sound familiar?! Left unchecked, chronic dehydration can lead to migraines, joint pain, heartburn, back pain, fibromyalgia, constipation, and colitis. So, one of the BEST things you can do to alleviate that headache or fatigue or constipation is to go get yourself a tall glass of water, and drink it. Drink half your weight in ounces of water per day. That is, if you are 140 pounds, aim for 70 oz of water daily. Follow this rule up to 100 oz. If you have a diuretic drink, make sure to drink 1.5 times the amount in water. So, if you have 8 ounces of coffee, drink 12 ounces of water to replace it. Plain, filtered water is ideal. I don’t advocate for distilled water because over time it can actually pull minerals from the body. I also don’t believe it’s necessary to be drinking alkaline waters all the time. The idea of one systemic pH is a myth. Our body has many different pHs, all tightly regulated by the brain through homeostasis, for a variety of functions. For example, your blood has one pH range. Your stomach has another pH range. Your skin varies, but it’s normally slightly acidic. Drinking alkaline water isn’t going to “make you more alkaline”, it’s just going to make your body excrete the excess minerals through your urine, giving you… expensive pee. Your body is going to keep your blood pH between 7.2-7.4, no matter what, because it’s critical it stays that way to keep us alive. Your body is smart! If you want to give your body an extra hydration boost, you can make a simple hydrating drink with just water, a pinch of good quality sea salt, and a squeeze of lime or lemon. It helps hydrate you by getting the water actually across your cell membranes and into your cells (that’s what the electrolytes actually do). It’s like Gatorade, but without the artificial food coloring and GMO high fructose corn syrup (yuck!). Recently, my boyfriend made something like this, but… with muscles. It is the most refreshing, thirst-quenching, satisfying drink I’ve ever had. We made a big batch and brought it to a potluck, and it was gone in no time. I can’t explain to you how much it feels like something primal takes over when you try it. It’s like your body knows, “That’s the stuff. That’s exactly what I need.” You feel like you could just chug the whole thing! It’s warm today here in Seattle, and we just made a big pitcher of it today after spending the afternoon lying out in the sun reading! SO YUM! 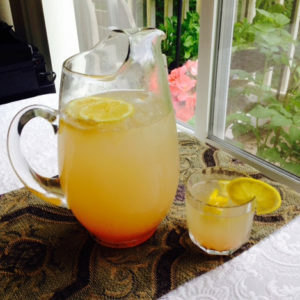 Delicious and refreshing summer drink! !